I haven’t blogged in a while. Going back to work and LP breaking her leg didn’t really give me the urge to start writing again. I thought I’d wait for something worth writing about. Well, LP is going to be a Big Sister! 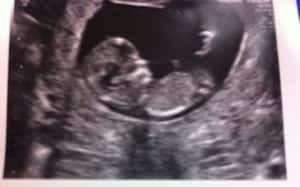 Baby number 2 is due on the 26th May with 21 months between them. I am 13 weeks today and know the next 27 weeks will fly by! I’ll try and blog more often to keep you all updated with the pregnancy!